Do you smell smoke? Must be time for the Memphis In May World Championship Barbecue Cooking Contest. A Memphis In May barbecue judge samples a rib. About six weeks ago, Memphis In May's executive vice president, Diane Hampton, received a call from a local reporter who was following up on an alarming, if not absurd, bit of news. The reporter explained that she had just fielded a call from a member of one of the teams competing in the Memphis In May World Championship Barbecue Cooking Contest who had told her that this would be the contest's last year. "'What?'" Hampton remembers asking. "I said, 'Think about that. What would possibly be the reason we would do that?'" And with that rumor firmly quashed, Hampton turned her attention back to the massive endeavor of producing Memphis In May's series of events, including the Beale Street Music Festival, the salute to this year's honored country, Turkey, the Sunset Symphony, and, of course, the barbecue cooking contest, which is this week from Thursday to Saturday in Tom Lee Park. The contest started in 1978 with 20 teams in a lot near The Orpheum. It has since evolved into three days of pork-scented smoke, plastic pig noses, elaborate team structures, 500 trained judges, concerts, and, of course, some seriously competitive cooking by teams that have spent years, not to mention thousands of dollars, refining their recipes and methods. This year, more than 250 teams — including one from Norway and another from Belgium — will be vying for top honors and $60,000 in cash and prizes in the rib, shoulder, whole hog, and "anything but" categories, among others. Hampton says that in terms of notoriety and attendance, the contest has experienced a "huge growth spurt" in recent years. The 2007 contest drew a record crowd, topping the 100,000 attendance average by nearly 20 percent. The Food Network has filmed eight shows on-site in the past six years. That growth, Hampton posits, coincides with the surge of "foodies" eager to make, taste, and experience all things culinary. "With the popularity of foodies, there's more media interest in food and food-related events than ever before," she says. "I'd like to think that the barbecue contest was part of that." Now at the 30-year mark, Hampton says they've gotten the competition side of the event down to a science: "We are respected around the world and have been for many, many years." But there's still room for tinkering. In the past few years, complaints that there was nothing to do if you weren't a member of a team or didn't know anyone on a team have been addressed with the People's Choice Judging, which was introduced in 2004 and allows the average contest-goer to try samples prepared by participating teams and then vote on their favorites. An estimated 2,500 participated last year. Another consumer-friendly element, the Cooker Caravan, was added in 2006. It's a popular, behind-the-scenes tour that includes visits with teams and a look at the judging process. 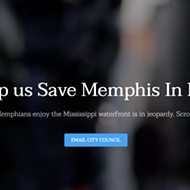 The challenge now for Memphis In May organizers is to grow the already-crowded event. Physically, the matter appears moot. Every inch of the 25-acre Tom Lee Park is accounted for, with the 250-plus teams taking up most of the space. Indeed, the park may have less room to work with once the Riverfront Development Corporation's Beale Street Landing project is finished. 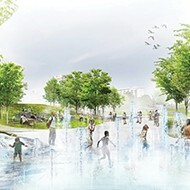 According to RDC president Benny Lendermon, who also sits on the board of Memphis In May, two acres of the park will be under construction in 2009. The Beale Street Landing, with a completion date in 2010, will add four acres to the park. However, it is unclear whether those acres, which will include a grass-roofed restaurant and terraces near the river, will be usable for Memphis In May events, Lendermon says. 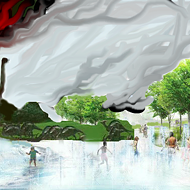 Moving Memphis In May to another area in town — Shelby Farms, for example — is not being seriously entertained. "From a personal perspective and even organizationally, I can state with all certainty there has not been a discussion of moving the event," Hampton says. "Part of the beauty and the whole image of Memphis In May is the barbecue cooking contest by the river. I don't see that changing." Next on the agenda, according to Hampton, is to emphasize the "world" in the World Championship Barbecue Cooking contest. That means recruiting winning teams from across the country and the around the globe. Says Hampton, "If we're going to be the World Championship, we have to draw teams from all over the world to finally and once and for all determine who is the world-championship competitor." In late August 2007, Memphis In May sent out a letter explaining that in order to focus its resources on recruiting teams from around the world, the organization would no longer be sanctioning the 40 or so smaller barbecue contests across the country. These contests served as a minor league for the Memphis In May contest, sending its winning teams to the big show in Tom Lee Park. Sanctioning involves having a Memphis In May representative at the event and providing logistical support, such as overseeing the judging process and making sure that Memphis In May's rules are being followed. The announcement caused some concern among volunteers who had worked as barbecue contest representatives, and shortly after receiving the news, they formed the Memphis Barbecue Network. "We met two weeks later to decide: Can we do this? Do we want to do this?" says Memphis Barbecue Network president Randy McGee. He adds with a laugh, "We're still asking ourselves that." While the Memphis Barbecue Network is new, it already has signed up more than 500 judges and roughly 90 teams from across the country and has been enlisted to work 32 contests so far this year. Members of the network already have begun performing the tasks associated with sanctioning. They provide these smaller contests with a list of judges and teams for recruiting. They help with scoring and introduce newer teams looking for guidance to teams with more experience. The Memphis Barbecue Network is also training judges. "We're taking it very seriously about the caliber of judges for these teams," says network vice president Henry Evans. "They spend a lot of money. It's not inexpensive for these barbecue teams. It's $1,000 a weekend for them, easy. And they expect to have judges who know what they're doing. Consistent, competent judges." McGee says the network works hard to serve as ambassadors of good barbecue and good will. Members have raised money for tornado victims, and they helped with the recent hot-wings contest on South Main. According to McGee, there was some discussion between the Memphis Barbecue Network and Memphis In May to have an official association, but terms could not be ironed out. Representatives from both parties agree that they share an aim of promoting Memphis-style barbecue, and many of the network's members still volunteer with Memphis In May. "We would prefer to have an official association with Memphis In May," McGee says. "We're in the process of exploring associations with different barbecue contests that have approached us." 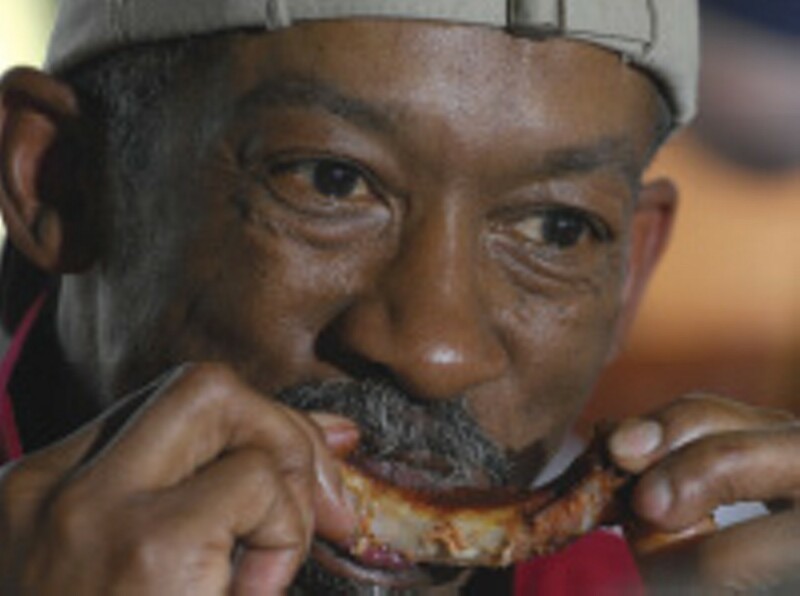 For more information on the Memphis Barbecue Network, go to mbnbbq.com.